=) Finally we can put a face to the immaculately dressed gentleman. You guys look cute. The photo looks like one of those picture we might find in our parents' treasure boxes. 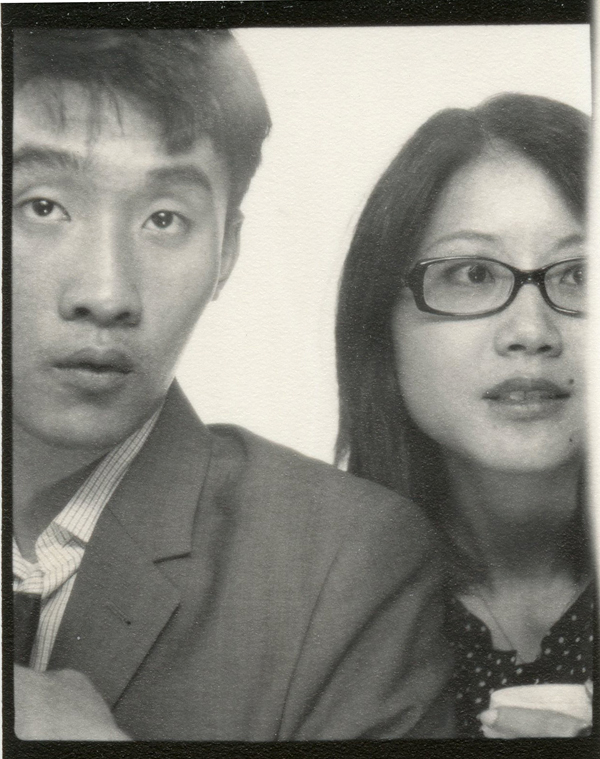 Cute photobooth photo! Whenever we do them, the first shot is always like that. The rest are of us talking about how we should pose. Ha! yes, i too was shocked at how fast peonies bloom! the shooting window is short, unfortunately. well, the good thing was that trader joe's had an amazing deal on peonies - maybe they'll have 'em this year too. So nice to finally meet Jimmy! Great post! Love the expired polaroid & who doesn't love a photo booth! So retro & fun! Great expressions! ;) Nice to put a face to J too! 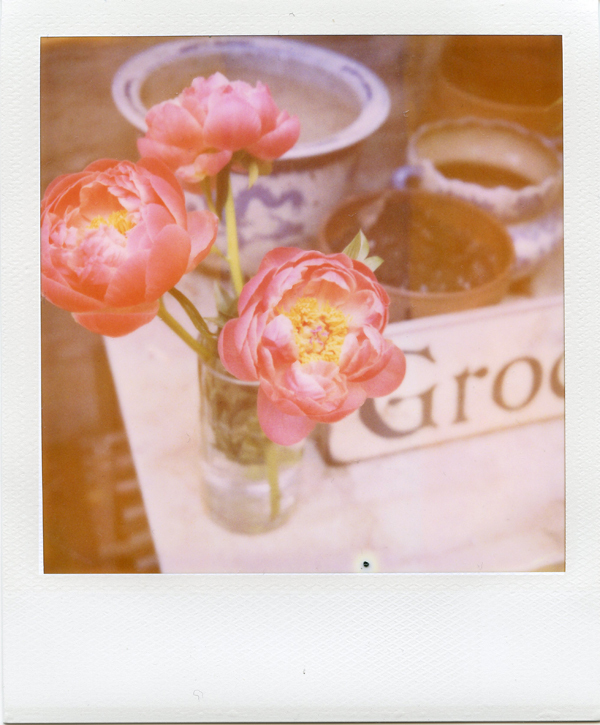 ahh peonies. always and forever my favorite. also, your photo booth story made me laugh, as I'm sure the same thing would happen if I stepped inside. Beautiful peonies! Your photos are great! 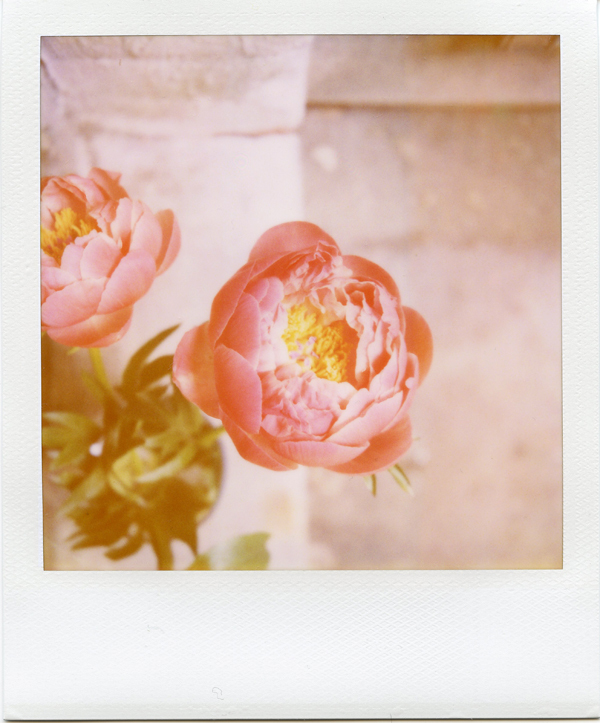 Peonies are such pretty flowers, beautiful polaroids!